We are back in the states with great memories of our trip. As I plan for my next race this weekend I am reminded of the great training I received by renting one of your bikes. The genesis was perfect for my needs and I believe I training harder on this bike in Cornwall than if back home - the hills were awsome! Well, the 70.3 race will be soon and hopefully the results will show. Good luck with your races this summer and I will continue to follow via Strava. 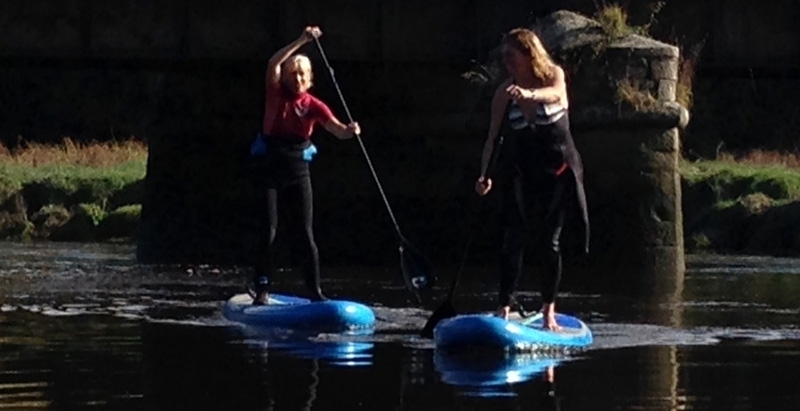 Cornwall SUP Hire in Cornwall is paddleboards delivered to your accommodation as and when you need it. From £30 for 24 hours, amazing value for those wanting to get out and explore this summer. We have the Nalu Stand Up Paddleboard (SUP) and the Blue Wave Inflatable paddleboards. Both awesome in their own ways and a brilliant way to explore the tidal rivers and coastline of Cornwall. Cornwall Paddle board hire is available all year round. 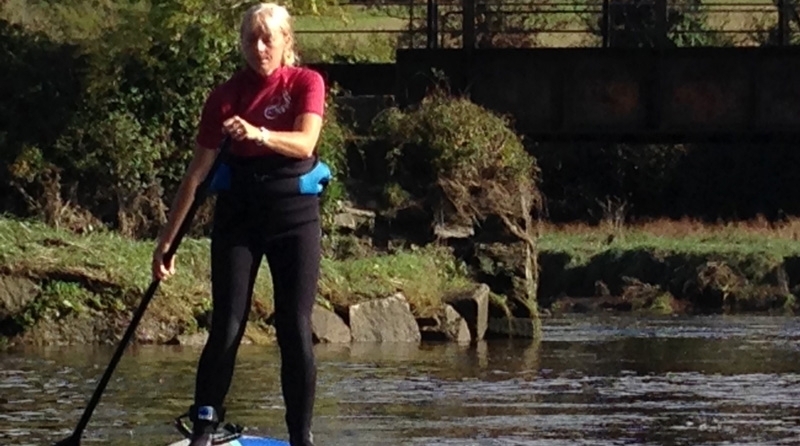 Call Paul to book you paddle board hire in Cornwall now. The Nalu is really great fun, super stable and perfect for river use as they are more streamlined than those used at beaches and you can build up speed once you've had some practice! The Blue Wave Inflatable boards are fantastic and our favourite thing to play on. We take them everywhere as they fit in the back of the car, inflate really quickly and when the surf is rubbish or there's a river looking inviting we just pump and go. Really great fun for all the family. Where do we love Paddleboarding? Try taking off from Wadebridge Quay, you can have a good trip up or down river with the tide. Padstow, near the start of the Camel Trail and Rock are great places to set off from. With the River and the creeks to explore, it's great fun- you must check out the tides before you set off though! Fowey and the surrounding area including Golant and Lerryn which are beautiful places, are wonderful to explore by paddleboard. All the above are dependent on tide so make sure you check before you go. We are experienced paddleboarders and do explore the coast on calm days. Always be aware of tides, weather conditions and of beaches supervised by the RNLI lifeguards. To check availability click here. This unique Stand Up Paddleboard is inflated in a few minutes with a pump which fits in the rucksack. Easily fits into the boot of a car and allows you to go wherever you like in Cornwall with no time restrictions and no hassle of roof racks.